Breakin’ Convention, the international festival of hip hop dance theatre, returns with another line-up of jaw-dropping performances by companies from around the world and around the corner. This hugely popular production is hosted and curated by UK hip hop theatre artist Jonzi D.
Alongside performances from local crews, Breakin’ Convention includes ILL-Abilities (International), a b-boy company that challenges the misconceptions about people with disabilities and Ukweli Roach (UK), with an ensemble performance about temptation and vice, and Wanted Posse (France) expressing the roots of their personal revolutions. Breakin’ Convention is more than just a show: DJs, dancers, demonstrations and workshops take over the foyer in the ultimate celebration of hip hop culture. 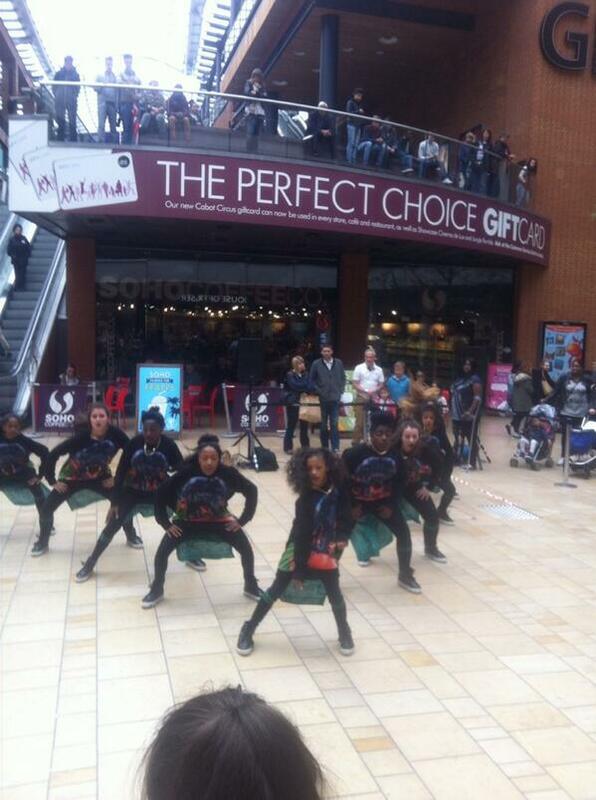 Representing the South West dancers from Hype Dance, Swindon Dance YCA, RePosition & Winston Pyke will be performing. The foyer activities will also include DJ performance from Luke Type (TYPESUN) and live graffiti from Cheba (Weapon of Choice). ILL-Abilities™ is an international group comprised of B-boys that have overcome extraordinary challenges to become some of the best dancers in the world. Hailing collectively from Canada, Chile, Holland, and U.S.A, they formed in 2007 with the idea of being a ‘Super Crew’ of disabled dancers. ILL-Abilities’ mission is to redefine society’s view of disability, promote empowerment, and encourage limitless possibilities through motivational entertainment. Gradually a global movement formed, helping to spread the message: No Excuses, No Limits. ILL-Ability: Born with several physical malformations with no right hip, the right leg shorter than the other as well as his right arm being shorter and lacking an elbow joint. His dance style is very much oriented on his flexibility and smoothness making his movements look like they are just slithering across the floor. ILL-Ability: Born with a major malformation in his legs, his condition is unknown but suspected of being a “Thalidomide” case. His dance style is very much based on his arm strength; making his movements look like he is constantly floating. ILL-Ability: At the age of 18 he was diagnosed with osteosarcoma (malignant bone tumor) in his right knee. Given the choice of amputation or prosthetic bone implants, Tommy decided on amputation for the ability to continue high-level physical activity. ILL-Ability: Jacob was born completely deaf in his right ear and has lost most of the hearing in his left ear, due to ear infections at a young age and to a number of traumatic head injuries. Jacob is known for having innovated air flares and the use of upper-body strength in Bboying. His style consists of many dynamic and strength-related movements that allow him to fly around the entire dance floor. ILL-Ability: Luca was born with Arthrogryposis, a condition affecting the bones and causing stiffness in the joints in the body. For Luca, it has affected him mainly in his legs creating weak muscle developments, which makes him walk and dance on crutches. His dance style mainly consists of strength movements on his crutches and on the ground. Ukweli Roach’s choreography, whilst being largely hiphop-based, borrows from disciplines such as tap, house dance, popping, breakdance, contemporary and jazz, fusing them all into theatrical manifestations of whatever music he is dancing to. Over the years, Roach has worked with Mariah Carey as well as stars like Kylie Minogue, Cheryl Cole, JLS, Alexandra Burke and others. Simultaneously he trained in acting at RADA and was part of the founding of BirdGang Dance Company. Both experiences have led him to choreograph and perform in showcases and competitions both in the UK and abraod, as well as working as an actor in film, television and theatre. In the early 90s, Ahmada Bahassane created Wanted Posse. The group quickly developed in style and became recognized and respected at shows and underground battles. The Wanted Posse evolved over time and have gradually acquired an artistic maturity in confronting the world of choreography. In 2001, Wanted Posse became the world champions at Battle Of The Year in Germany, and have since gone on to win many of the world’s most high profile hip hop dance battle events. They group have worked with international artists such as Madonna and Robbie Williams and also on various productions and with other world-class choreographers. They are also involved in various projects individually as dancers and choreographers in their own rights. Despite this the Wanted Posse do not forget their roots, and come back together to develop each new Wanted Posse show. Choreographer, playwright and rap artist Jonzi D is the Artistic Director of Breakin’ Convention and Jonzi D Projects. He has been at the forefront of British Hip Hop culture, rapping and b-boying since its inception in the early eighties. Since graduating from the London Contemporary Dance School in 1993, Jonzi has danced and choreographed widely in the UK and Europe, Israel, USA and South Africa, and has been committed to the development of Hip Hop theatre. He was an Associate Artist at The Place Theatre and was creative consultant on the LWT South Bank Show Special documenting the art and culture of hip-hop. Recent works include TAG… Just Writing My Name and Markus The Sadist, featuring Bashy, Lyrikal Fearta: Redux and The Letter. As an MC Jonzi has worked with The Roots, Steve Williamson, MC Mell’o’, Wordsworth, Hymphatic Thabs, and toured Europe with Jeru Da Damaja and Gangstarr in the early nineties. Sadlers Wells’ Breakin’ Convention is the UK’s festival of Hip Hop dance theatre and has been presenting dance by companies and crews from across the globe since 2004. Headed up by Artistic Director and Hip Hop legend, Jonzi D. over the years Breakin’ Convention has been seen by audiences in excess of 90,000 and has hosted over 480 companies from the UK and internationally. Breakin’ Convention offers a platform for young artists, with youth companies being able to present work on the main stage alongside more established acts. As well as performances from the very best in hip hop dance theatre there is also a full programme of foyer events, workshops, DJs, freestyle sessions and live aerosol art. RT @KidsRunTings: @ShipshapeMag @ILLAbilities @Colston_Hall @UkweliRoach cannot wait! My kids gonna be on stage #hype ! @ShipshapeMag @ILLAbilities @Colston_Hall @UkweliRoach cannot wait! My kids gonna be on stage #hype ! 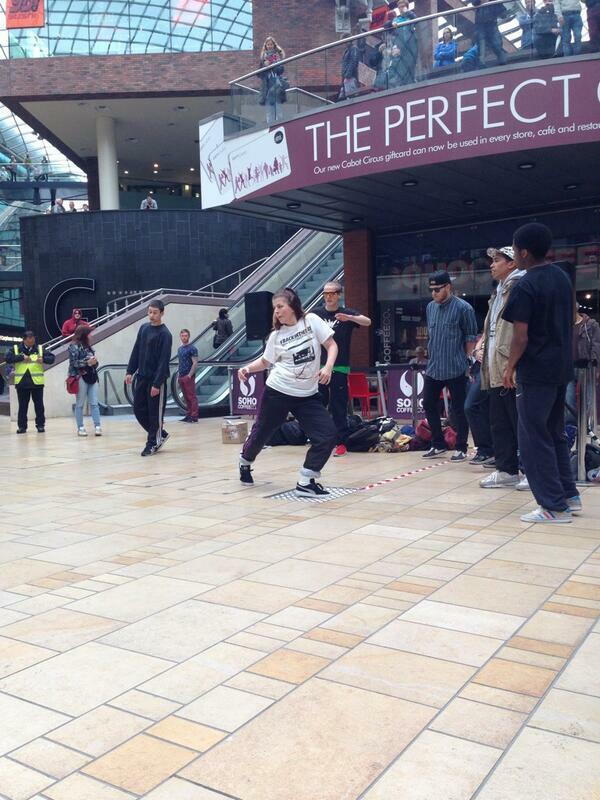 @BConvention and what have we got at the end of this week...you guys are the @Colston_Hall on Saturday night. Cannot wait!!! "@Colston_Hall: Hype Dance rockin it in Bristol #breakinconvention http://t.co/p13PxEtPPJ" < Fab view with your SOHO coffee @CabotCircus! 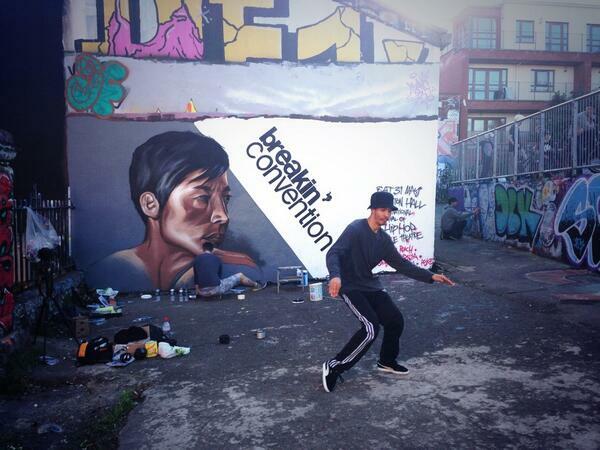 RT @realwaynenelson: @BConvention May 31st Bristol @Colston_Hall cannot come soon enough. Top night out. @BConvention May 31st Bristol @Colston_Hall cannot come soon enough. Top night out. #BreakinConvention #ComingToYourCity: 31 May #Bristol at the end of the month but not end of the tour. @Colston_Hall is the place to be! 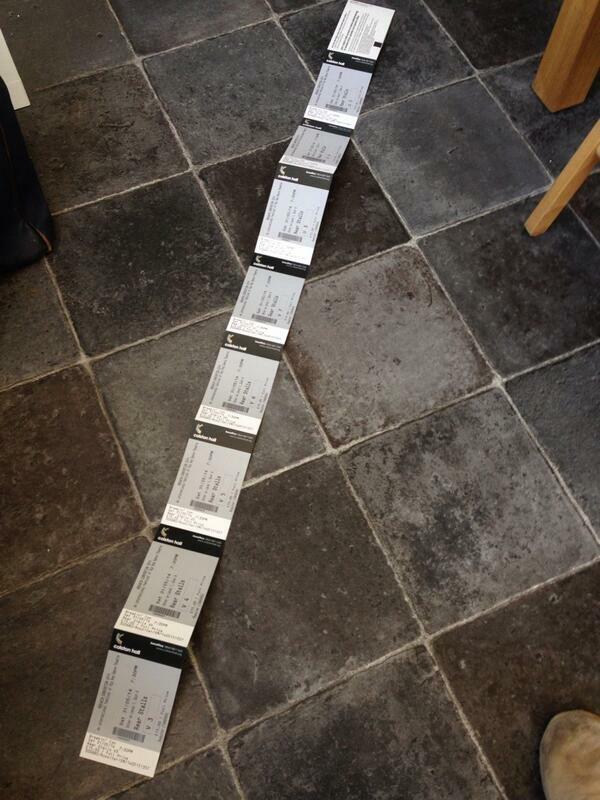 RT @realwaynenelson: @BConvention just got my tickets for bristol colston hall. CAN NOT WAIT!!! @BConvention just got my tickets for bristol colston hall. CAN NOT WAIT!! !